People are drawn to a movement by its followers as much as its leader. People don’t emulate leaders. They emulate fellow followers. (See Paul’s line about following him as he follows Christ in 1 Corinthians 11.) If our art will serve the movement, it needs to elevate the stories of the movement’s followers. Old school testimony time might have more wisdom to it than we realize! Movements are tied to places, times and people. They’re not static. They’re not floating in the clouds, like Platonic ideals that are detached from the blood and sweat of our everyday lives. And so art for the movement has to have a dynamic relationship with the place and time and people of the movement. It has to be responsive to the community and its needs. This is one of the reasons we’re pushing harder than ever to make original art a benchmark of our work at Granger. Original art can give a voice to the circumstances of the people right here in our neighborhood in a way that reproduced art cannot. If the incarnation is the moment when God wrapped Himself up in the circumstance of the people to whom He was sent, then original art is inherently incarnational. What about you? Though there’s strength to be leveraged in the hegemony of popular culture, how do you think the Church can leverage art for the sake of a movement that is embedded in a certain place and time? What else needs to be true of our art if it will lend its full force to our mission? 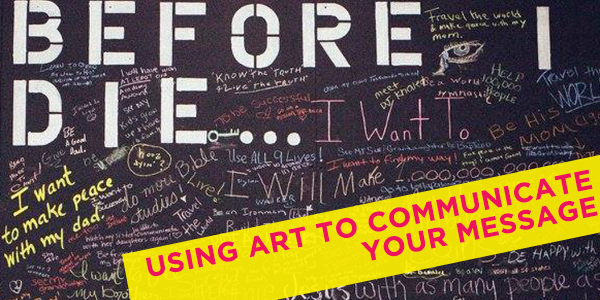 Check out an art installation Granger leveraged in a recent series called Before I Die... to capture and promote the heart of the topic being discussed on the weekend. Bring your staff and volunteer leaders to the Creative & Communication Arts Workshop at Granger Thursday, May 19, to boost your impact with guests.Register by next Monday, April 18 to get the Early Bird rate of just $99 per person, or $89 for groups of 2–5, or $79 for groups of 6+. Attend both days ofworkshops (there’s a second day of additional workshops on Wednesday, May 18) and get a further discount: $20 off per day! In almost every environment now, everyone is inundated with messages (even in church) and people are going to get lost in the minutiae if you can’t give them the basics in a simple, direct way. The goal is to get them to come to your Women’s Noteworthy Chorale Bible Study—and then, once they’re in, you can share all the details. As a helpful tool, check out Granger’s sample Communication Values and Priorities, which helps us decide what gets promoted and where. As artists on a platform we have a responsibility to lead others in worship—therefore we should be genuinely worshiping as well. We point others toward God, not ourselves. Therefore any conduct on stage that draws attention toward ourselves and away from God is a bad thing. Typically this is labeled as performance. It’s not the easiest of debates to find resolution to, because how can one argue against the above logic? But I think we’re labeling performance as a negative too quickly. How many sermons, lectures or presentations have we all sat through in which the content was good, but the presentation was boring, disengaging and lifeless? If you’re able to look past a horrible delivery and focus on the content, you’re a better person than I am! In the church, we tend to focus on the content we’re delivering without giving equal attention to the way that we’re presenting it. At Granger, what we want from our artists is for the presentation to reflect the content. For example, if we’re singing about the grandeur of the glory of God, our visual presentation should be consistent with the magnitude of that idea. Why is this? Well, it’s primarily because the vast majority of people who are experiencing our services aren’t musical and therefore don’t understand musical things. Sure, they might sense that something is awry when the keyboard player misses some notes, but they likely can’t pinpoint the issue. But every single person in our services is an expert on human behavior. They can tell if that vocalist is on autopilot or the guitarist is unsure of where he’s at in the song. So delivering an engaging presentation is just as vital as the words we’re singing or the notes we’re playing, because oftentimes it speaks louder than anything else. At Granger, we have come up with some guidelines that help us accomplish this goal. We’re a volunteer-driven arts ministry, so we can’t expect our team to be experts in this sort of thing. It’s our responsibility to help equip them so they can fulfill any expectations we have of them. We call it STEP. 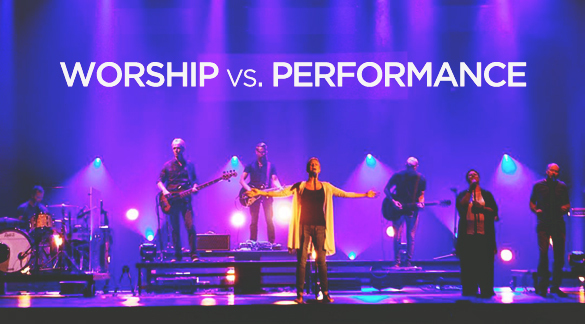 This is how we want our volunteers to prepare for, execute, and evaluate what they do in our worship experiences. If you would like to learn more about Granger’s process for planning, promoting and executing weekend series come to our Creative & Communication Arts Workshop. In the morning, we’ll talk timelines, brainstorming, programming and decision making. 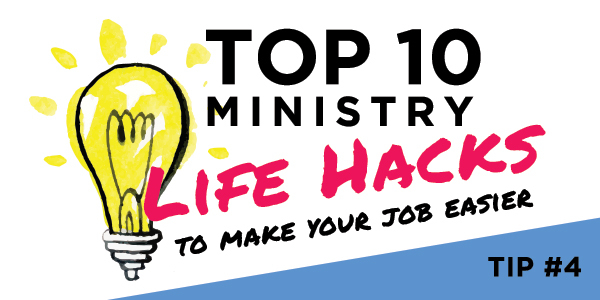 In the afternoon, we’ll have small-group Q&A with your Granger staff/volunteer counterpart (like the Web Director, Production Director, Lighting Director, Worship Director, etc. ), where you can ask any burning questions you have. Register today! Yes, believe it or not, it’s time to talk about Christmas. After many years of having Christmas “surprise” us, we’ve started the discussions and planning earlier and earlier each year. We’ve come to realize the crucial timing of the season to bring in new people who would never step foot in a church for most of the year. To the Average Joe or Jane, taking your kids to see a Christmas show as a part of the natural rhythm of the season makes much more sense than dragging your family out of bed every Sunday morning and piling up an extra commitment to the rhythm of your week. So—we put a lot of thought, energy, creativity, and resources into our Christmas plans every year with Joe and Jane and their family in mind. Our own spin on A Christmas Carol with recent hits on the billboard charts. We held auditions for this and then wrote the show to the people we had, which provided a fun new spin and some interesting new characters. It was kind of an Annie meets Scrooge, since we had an army of talented kids audition. We figured God always makes the best of what we offer Him, so we’d better make the best of what He offered us. This fun, new take on a classic story was the result. With the rising popularity of Christmas specials on TV, we thought we’d take a stab at a variety show, featuring our volunteers in their sweet spots. This was a fun show to put together, but we found the attendance wasn’t quite what we’d hoped. We found that, no matter how excellent the arts we were offering, story sells. People just weren’t sure what a “Christmas Spectacular” was. However, we had a blast! 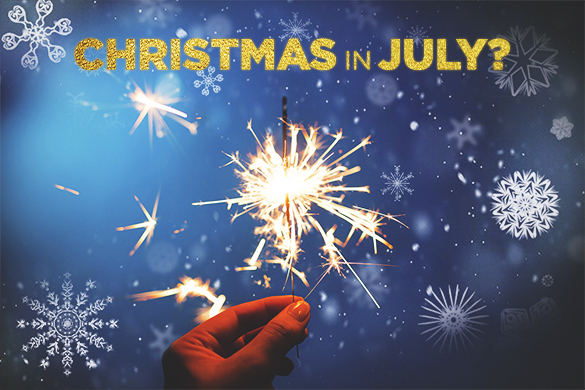 This summer we hope you’ll take some time to ask God what He wants to say to your community through you this Christmas. After all, it is His birthday! To learn more about Granger’s process for planning, promoting and executing weekend series, come to the Creative & Communication Arts Workshop—one of many workshops happening October 13 & 14. Get your tickets now and save money with early bird discounts.